Moving off to college is a big step in everyone’s lives, including mom and dads. It’s hard enough as a parent to see you child grow up, let alone let them spread their wings and move off to college. As proud as you are that they are growing up and deciding to further their education, that little feeling inside doesn’t want you to let them go. There is enough stress in the planning and packing process, so why add to it? Most teenagers love that “road trip” experience and wouldn’t mind throwing all of their stuff in the back of the car and hitting the road. While having your teen drive their own vehicle across the country to college may not sound like a bad idea at first, and might also sound more cost effective, it’s not always the best solution. Driving such long distances is never the best of ideas for an amateur driver, especially a teenager driving solo. There are many safety issues that can arise and many hazards on the long road traveled. Don’t take any chances by having your child drive their vehicle and leave the shipping cars across country to the experts. Bulldog Auto Transport’s car transportation drivers know the ins and outs of the roadways because they make these runs every day. 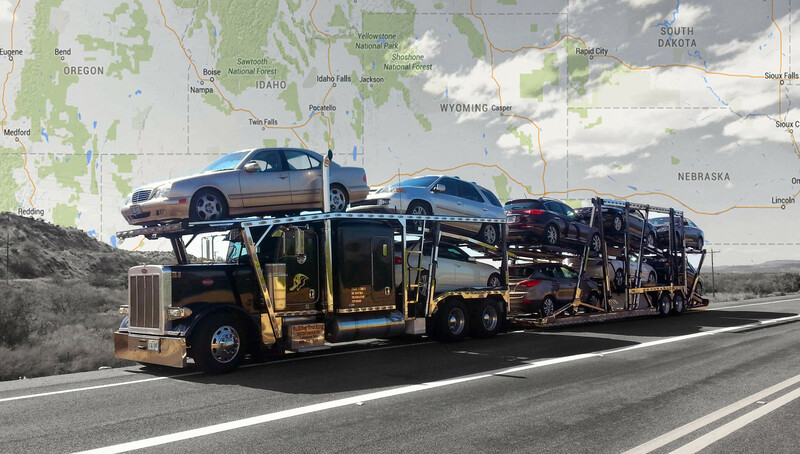 Transporting cars coast to coast is our forte and what we best. We make enough mistakes throughout our lifetime, so don’t let this be one of them. Transport cars to your college student and keep them out of harm’s way. Shipping a car is not as expensive as some might think and many parents are learning this with Bulldog Auto Transport. Bulldog Auto Transport is the safe and economic choice to move that vehicle from point A to point B. Save on gas, food, travel expenses, and most importantly, protect your child from the hazards of the long road ahead. Just think, what if your child damages the vehicle while they are driving? Now you have the added cost of inflated insurance premiums. And don’t forget, we offer a student discount with a valid student ID. If car shipping costs are of no concern, consider the safety of your child and your peace of mind. Unfamiliar roads will not be an issue because Bulldog Auto Transport’s professional college student auto transport drivers will be behind the wheel until the vehicle arrives safely to your child studying at school. Call 1-855-407-4160 today for a FREE custom domestic quote.